1. How to set up the extension for recording with TestingWhiz 6.x? To set up the extension for recording with TestingWhiz, you can refer the External Recorder Guide for the step by step process. Alternatively, you can refer to the video named "Installing extension for Recording with TestingWhiz" on our YouTube channel. 2. Which platforms does TestingWhiz support? TestingWhiz is currently available for Windows 10, 8, 7, Vista & XP. 3. Is it possible to capture an image or a screen while executing the test for later comparison? Yes. You can do this either via clicking on checkbox available in the test editor or by using the test command available called “Capture Screen Shot”. To compare two file images/ URL, image, you can use the “Image” test command. See the "Image Comparison" sample script available in the tool for more information. 4. Does TestingWhiz support Windows authentication for a web application? How do I use it? 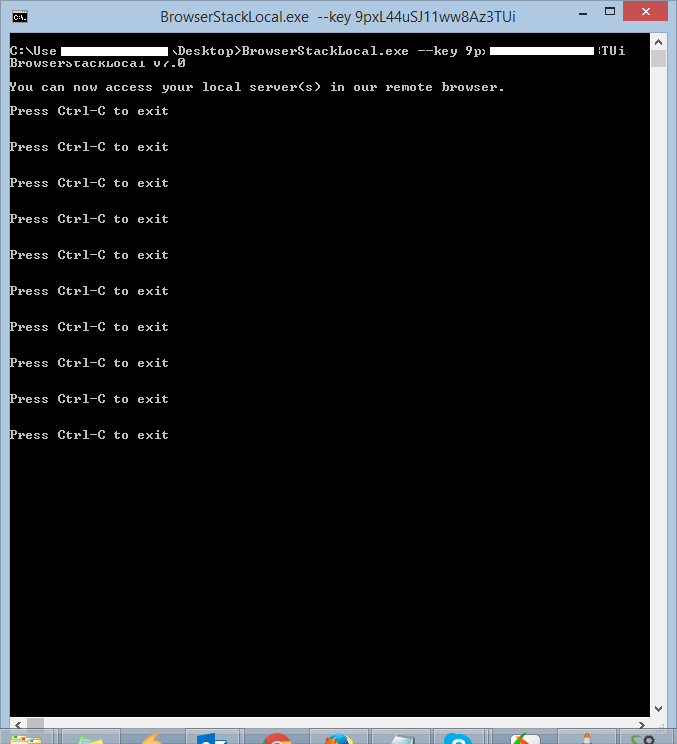 Yes, TestingWhiz supports Windows Authentication out of the box via 'Enter Authentication' command. 5. Would it be possible for me to verify the business logic in the grid using TestingWhiz? Yes, it is possible with TestingWhiz to verify the Business Logic of your Application by getting values of each cell in your grid and verifying it with the expected results. This can be done by extracting a value from a cell of the given grid and verifying it with the expected value via String & Compare commands supported by TestingWhiz. 6. How does TestingWhiz handle "object not found" issues which would cause timeout errors? a. Wait for time: This command will wait for the given amount of time. b. Wait for Element: This command will wait for the specified element until visible or enable. 7. QTP and other automation tools provide Failure recovery scenarios. Does TestingWhiz provide anything similar if I want to execute all the test scripts in a batch? Steps: Configurations>>Execution Window>>Pause test execution on failure. Confirming this checkbox will pause where the execution failed, and will prompt you with the available objects to select and continue running the test script. 8. Is there any easier way to identify the objects on IE browsers if the objects are not recorded through TestingWhiz? If objects are not found during recording than we can provide the element's ID or Class name in an object column in TestingWhiz. We can get an ID or Class name of a particular object by right-clicking on that object and selecting Inspect Element. 9. Does TestingWhiz provide support for automating Captcha? Yes, we can automate captcha testing using TestingWhiz, but to achieve this developer will have to introduce latching code into the AUT so that we can get an appropriate response from the server to TestingWhiz and thus we can achieve this. 10. The tagline of the tool says it Code Less Test More, I realize that it provides a capable Record and Playback feature. But at the same time for people like me who want some kind of control in their hands, does it provide any capability to include custom code? 11. There are multiple pop ups in my application displaying myriads of messages. How do I read the content of those pop-ups and compare it to predefined value using TestingWhiz? Yes, we can read all the messages from the popup boxes, but only one at a time and then we can compare them with our predefined values and get the result in a pass or fail manner. 12. Sometimes I face the issue running the tool like: Unable to open the tool. How do I resolve this without contacting the support desk? TestingWhiz requires admin privileges to run the tool might be the reason where it won’t allow you. Follow simple step and assign admin privileges to open the tool. Go to short-cut icon of the tool >> Right-click on it and click on “Properties” >> Windows dialogue box pop ups on the screen >> Go to Compatibility tab >> Check the box of “Run this program as an administrator” >> Click apply and Ok. Easily you can open the TestingWhiz tool. 13. How can I upgrade to the latest version of the tool without installing a new version? TestingWhiz facilitates you to upgrade to the latest version of the tool from Auto Updates. Follow simple steps and upgrade TestingWhiz to the latest version. Click here to download upgrade mechanism. 14. How to setup environment on Android and iOS? 15. My Jenkins job is not working with Mozilla Firefox. However, for IE and Chrome, it's working well. Why is it so? --> Download latest 64-bit Geckodriver from https://github.com/mozilla/geckodriver/releases E.g. geckodriver-v0.20.1-win64.zip. --> Extract the zip file and you will get geckodriver.exe. --> Replace latest geckodriver.exe file in path C:\TestingWhiz Enterprise Edition\plugins\com.cygnet.autotest_6.0.0 (might vary slightly based on installation path and release, this path is valid for TestingWhiz version 6.0.0). --> Now run job over Mozilla Firefox from Jenkins. It will work. 16. How to fix license activation error:sun security validator exception - PKIX path building failed? This error is related to certificate inaccessibility. Whenever Java attempts to connect to another application over SSL (e.g. : HTTPS, IMAPS, LDAPS), it will only be able to connect to that application if it can trust it. The way trust is handled in the Java world is that you have a keystore (typically $JAVA_HOME/lib/security/cacerts), also known as the truststore. This contains a list of all known Certificate Authority (CA) certificates, and Java will only trust certificates that are signed by one of those CAs or public certificates that exist within that keystore. Click here to follow some basic instructions to fix this issue. 17. What are the basic steps to perform execution over BrowserStack instance for the script of application hosted in local network? 18. I am not able to register with the license code provided. Can you please help me out with the solution? With the help of your IT support team, you would be required to whitelist the following URL https://usercentral.testing-whiz.com/licensor/api/licenses/ in your organization. If this doesn't solve your problem, then please share error screenshot to our helpdesk "support@testingwhiz.zendesk.com".